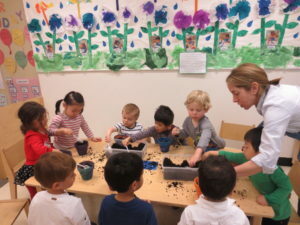 Our youngest students learned about Earth Day via planting activities. 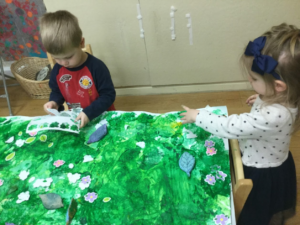 Earth Day is every day at The International Preschools! 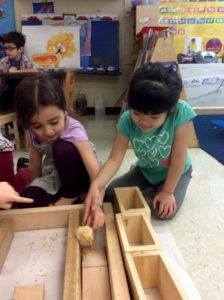 Of course, during the month of April, celebrating Earth Day becomes a focused portion of our play-based learning curriculum. 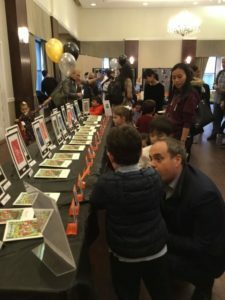 Every year the teachers and students at IPS commemorate this day with a rich, impressive, and varied curriculum. 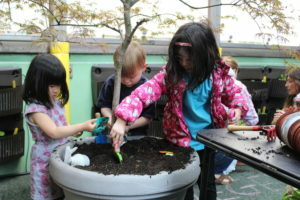 Many classes embarked on their Earth Day-related units by planting. 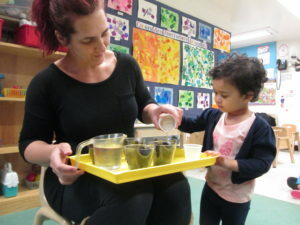 Lima beans and grass seeds were popular plants among the classrooms, and are great choices: both sprout quickly, allowing for the children to witness the growth process. 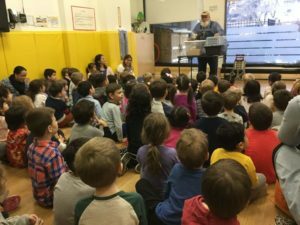 Children learned about the parts of a plant (i.e. stems, leaves, roots) and what is needed for seeds to grow (sunlight, water, soil). Then, via hands-on activities (daily plant watering, placement of plants on the windowsill for adequate light), students assist the plants by giving them what they need! 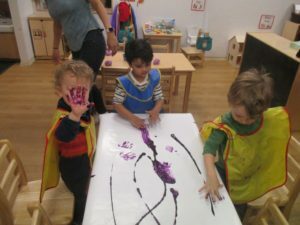 At The International Preschools, literacy and pre-reading skills are at the forefront of our interdisciplinary, play-based learning curriculum. During the months of January, February, and March, these skills are highlighted via our school-wide author and book studies. 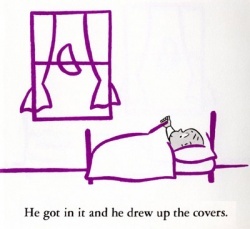 …and the Red Room children at 86th Street, reenacting Harold’s drawing adventures at the art table! 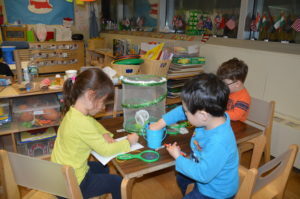 The author study season is well underway at The International Preschools! Classrooms at all three locations are thoroughly immersed in learning about their chosen author, book, or character. This curriculum theme is an effective way to promote early literacy among young children. 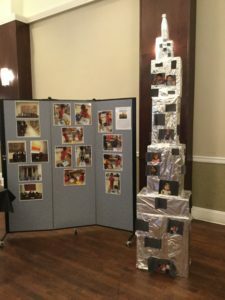 In keeping with our play-based learning approach, each classroom will create interdisciplinary activity centers about the books being read there. 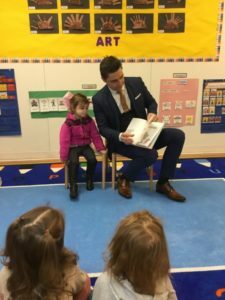 This method will assist in children retaining as many skills and as much information as possible about the books at hand, while having fun at the same time!